For Gears, it is desired that oil or grease is applied to larger areas, hence in such a case it is better to spray the lubricant to achieve a fine layer of lubricant. 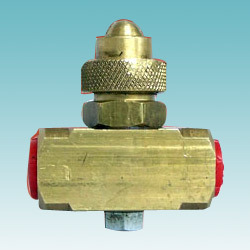 Pumps and Nozzles are used in such a system Special valves are made for this system, which allows air to pass into the nozzle only when there is lubricant supply, and lubricant to enter only when there is air.The advantage of this is that there is no unnecessary lubricant flow, the flow is only when spraying is required, thus leading to no spillage. Gears and high rotational parts it is desirable to lubricate and cool the frictional parts. Hence more area should be covered by the lubricant- oil or grease along with air is used to lubricate and cool the parts, this is achieved by the air and oil mix, spraying of oil or grease to the parts and others such methods. 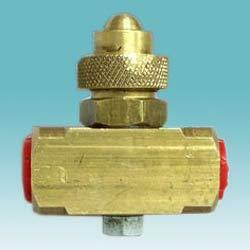 These nozzles are used only when there is proper lubricant and air supply thereby eliminating any error or excess of oil to the lubricating point. Mist Lubrication System for high rotational parts it is desired to lubricate and cool the lubricating parts hence oil along with air is used to lubricate and cool the parts, this is achieved by the air + oil mix, spraying of oil or grease to the parts and others such methods. Spray mist lubrication systems and oil mist lubrication systems for Gears it is desired that oil or grease is applied to larger areas, hence in such a case it is better to spray the lubricant for fine layer of lubricant. Nozzles wherein only when there is proper lubricant and air supply is made to eliminate any error or excess of oil to the lubricating point. Looking for Spray and Mist Lubrication System ?